There will be rampant speculation over who the B1G should replace Rutgers with, however if we’ve learned anything from the Rutgers debacle its that it pays to do your due diligence, a lesson that we’re sure the Big 10 has learned, so we can expect that the conference will take its time finding a 14th member. Having played with 11 teams for nearly 20 years, the need to go from 13 to 14 by 2014 is not desperate. The already growing pie can simply be divided among fewer members–meaning an increase in TV revenue for Big 10 schools. That is a nice change. But 13 is sufficiently cumbersome that they will need to make an add before the expiration of the Big XII and ACC grants of rights. University of Connecticut – Although not an AAU member, which is highly valued by the Big Ten, UConn’s past difficulties with its athletic department and school president pale in comparison to the recent troubles that Rutgers has had. In an attempt to market themselves to the B1G, UConn is going with the motto: “Hey… it’s us… and Cincinnati…geez… it’s pretty much just us. Cool.” This motto edged out: “Even if our players stole laptops, we never threw anything at them. That’s just cruel.” Plus, UConn’s uniforms are blue–which is a new color for the Big 10. The State University of New York @ Buffalo- After miscalculating on the degree of interest that the NYC market had in Rutgers, and then watching Rutgers engage in institutional self-immolation (big word, so here is a link), the wise men in the Big 10 chambers have concluded that, upon further review, the best way to capture the New York City market is by getting the state’s flagship university. In this case, U.B. (as it is known to its friends). And people forget that Buffalo, a suburb of New York City (at least as far as anyone from outside New York state knows) is also pretty close to Toronto. It’s like getting both markets in one. Commence drooling. University of Phoenix – Some schools have a team, but a small stadium. The University of Phoenix has the stadium, but not the team. Of course, with a location in Phoenix, and the ability to lure in the hot women from Arizona who are not smart enough to go to Arizona State, this has so much recruiting potential. Plus, many Big 10 fans go to Phoenix to … well…. die. But before they die, they like to watch old-fashiony football and white guys playing basketball. So there are plenty of alums in the area to fill that stadium. Although the University of Phoenix does not have an athletic director yet, Rutgers has lowered the bar substantially. No need to worry. Bank of America – For most Big 10 fans, the sad reality is that its basketball programs cannot keep up with the Big East, ACC, and Kentucky, and its football teams lag behind the Big XII and obviously the SEC. The Big 10 has plenty of research, but Johns Hopkins laughs at the average numbers posted by the various Big 10 “research schools.” And the Ivy League thinks it is cute that Ann Arbor and Madison are proud of their academic prowess. 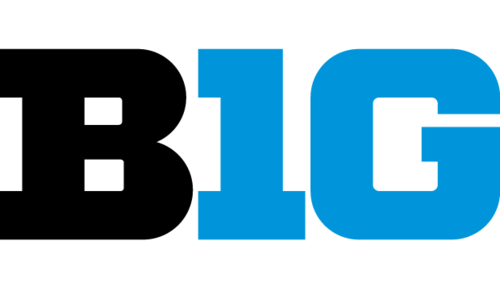 The only thing that the Big 10 thrives in is generating TV revenue. Well, why screw around anymore? The Big 10 wants to expand into the financial sector to ensure that the money it has created continues to multiply. Bank of America has outstanding financial statements and geographic distribution. It says America right in its name. And any 60 people currently working at Bank of America could don pads and give Indiana a good game on the gridiron. But, make no mistake, this is about the $$$. What do you think? Where should the Big 10 turn? How about the University of Conan? He already has national viewers, maybe even global! Surprised Marinatto did not come up with that one. Unfortunately this tongue in cheek article is NOT TRUE….only because having Rutgers in the B1G significantly enhances the ACC….someone, anyone tell me again what Rutgers brings to the B1G….and would the AAC even want Rutgirls, mean Rutgers back….doubt it. This whole misstep simply demonstrates that the all power “eyeballs” are not as important as rivalries, tradition and fandom. I believe the B1G takes Rutgers with the warts rather than being a good fisherman a throwing this “small fish” back into the sea of oblivion…..as such, thank you B1G! The only team that will actually get eyeballs in the NYC market is the Yankees. Fox already has a 49% share of the YES network, jointly operates the BTN. So in reality, there is no need to add Rutgers (especially not at $40M/yr) since the BTN could bundle with YES and force New Yorkers to get BTN if they want to watch their Yankees (Unless John McCain can help bungle the bundling). 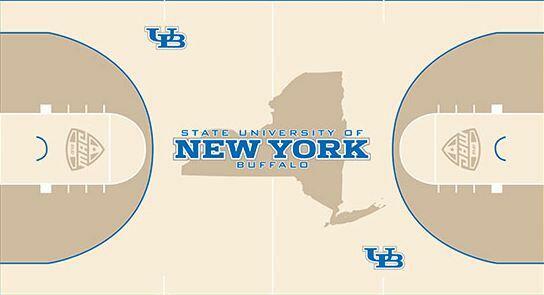 Fox can throw in the Big East, too. The good news M Caffrey is that nobody appears to be falling for this as actual news. The users of the Interweb are getting smarter. If this blogging thing has taught me anything it is that anything on a West Virginia site must be accurate. In some dimension or timeline anyway. What!? You mean this isn’t true? I’m shocked, i’m stunned, i’m flabbergasted! They would definitely be a good addition for lacrosse and would bring in a lot of research dollars. But I would rather see them added to the ACC.